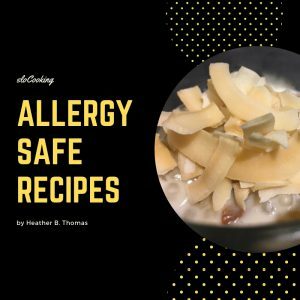 Since going dairy-free four years ago, I have been on a quest for pudding type desserts, but have had a hard time finding things that taste good and are dairy-free. 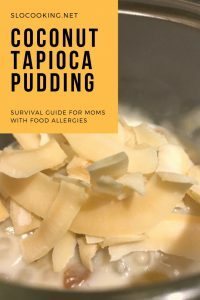 Tapioca however is one of those items that can be made dairy-free without a problem, so I like to make it as a change from baked apples with crumble topping for dessert. 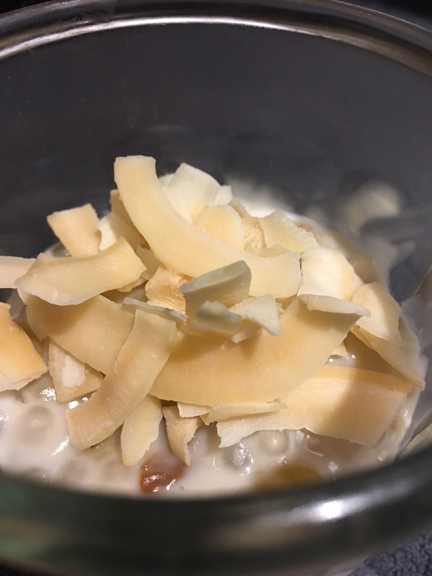 This recipe for coconut tapioca pudding is tasty and delicious. This easy to make dessert is fun to eat and can be dished out into small mason jars to have on hand to eat throughout the week. I have been known to use this as a breakfast food.